Happy New Year! After a brief break the podcast is back, and we’re hitting the ground running with two special guests. I hope you all had a great holiday season, and want to take this moment to thank each and every one of you who listened to this show in 2018. 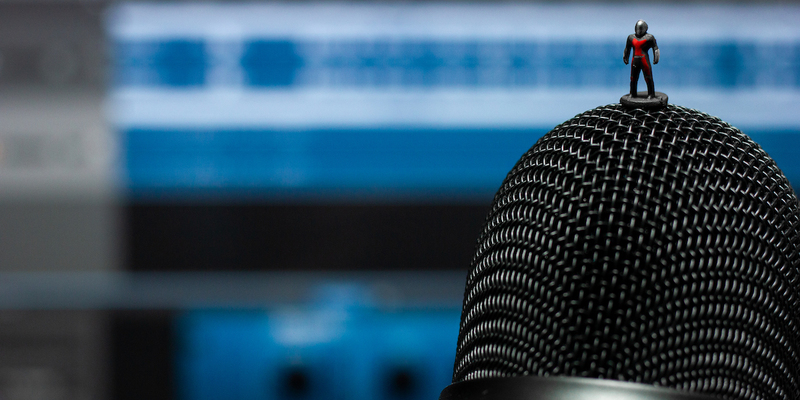 It was a bit of an experiment at first, but I think we had a great first year of podcasting. I’ll talk more about that on next week’s show in which Kristina and I recap the year and she interviews me about starting and running the podcast. As I finish editing that episode, I wanted to kick off the new year with a celebration of one of our community’s most unique challenges: #jANTMANuary. Avid readers of our blog and those active in the toy photo community are likely aware of #jANTMANuary, an annual photography challenge created by friends of this blog Krash Override (of Krashes Kustoms, of course) and DoctorNvrmore. 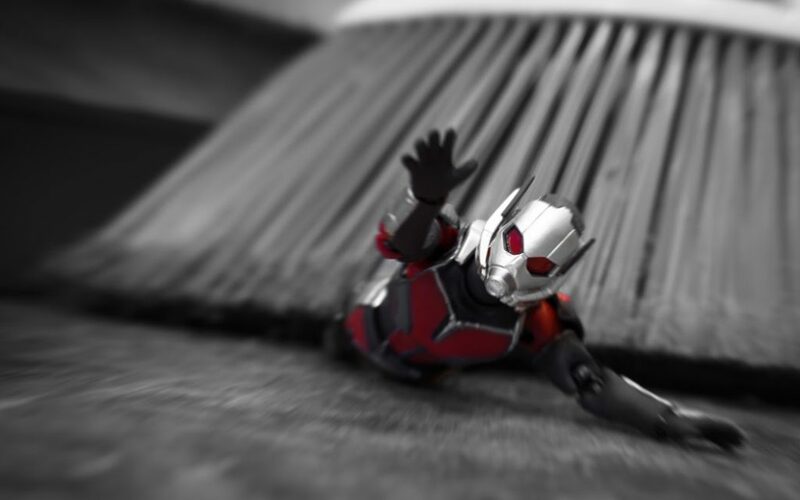 It’s a month-long celebration of Ant-Man and the unique perk that he brings to toy photography. Thanks to the bite sized Avenger’s ability to shrink down to ant-size, he can be used in 1:1 scale with the real world. Place Ant-Man anywhere, and you immediately have the opportunity for a story. I’ve participated in the challenge over the last couple of years, and look forward to it each time the New Year comes around. I’ve even written before about how photographing Ant-Man can change your perspective. As it turns out, that’s part of why Dennis and Jason started the challenge in the first place. I’ve been wanting to get both Dennis and Jason on the show for solo interviews, and hope to finally do so at some point this year. For this week’s show, I interviewed them specifically about #jANTMANuary and asked why they created the challenge, how it’s grown and changed over its four year history, and how you can participate and potentially win some cool prizes. Thanks to Dennis and Jason for coming onto the show. It was fun geeking out about Ant-Man, and I can’t wait to have you both on again to discuss your photography further. If you want to participate in #jANTMANuary this year, make sure to follow the official @jantmanuary account on Instagram, where you’ll find guidelines, FAQs and updates. To see the photos taken so far this year, make sure to check out the #jantmanuary_2019 tag. Thanks for doing this interview guys, love Jantmanuary! I might look forward to it more than Christmas! I think I like it so much because its a change of pace for toy photography. really flips the tiny world idea on it head. That’s my favorite thing about the challenge too! It totally makes me think of my photography approach in a different way. jANTMANuary is my hardest challenge for the year. There are so many great photographers putting these figures into reality that I find it difficult trying to think of something different. It’s a great way to stretch your creative process. Great episode! As a newcomer to the jANTMANuary challenge, it was cool to hear the background on the project.